When Genghis Khan and his rolling juggernaut were expanding the Mongol empire across NE Asia, weather also played a major part in his conquests. The crucial link between the weather and Genghis Khan’s exploits was revealed in this week’s issue of Proceedings of the National Academy of Sciences (PNAS). However the early part of Genghis Khan’s rule was marked by drought and Mongolia’s current episode of drought can have serious repercussions for the Asian region’s population. The link between Genghis Khan’s expedition and the wet climate was discovered after the study of extensive climate record in the annular rings of the trees in the region. Annular rings of trees can provide exhaustive data about the climate records. The annular rings are a literal time capsule about the abundance and shortage of water. When Genghis Khan took over the reins of power, Mongolia was reeling under a severe drought. However scientists found out that the rapid expansion of Genghis Khan’s empire coincided with the wettest periods in the region’s history. Though, climate may not have been the only factor leading to the rise of Genghis Khan’s empire, it did play a vital part. The armies and the horses were fed on the abundant produce of the fertile and rain fed land. Genghis Khan ascended the throne in1206; climate played a large part in his empire’s success. Genghis Khan’s rule was epitomized by a strong and unified power center which could not have been possible without abundant and bountiful resources. The ramifications of the past history are significant in present times also and currently Mongolia is facing one of the severest droughts in many centuries. 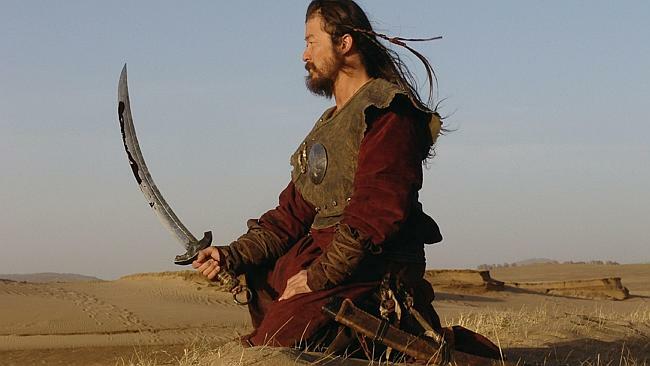 The drought could be precipitated by human activities and is much similar to the drought faced by Genghis Khan during his initial rise to power. Yeah, they also get shafted by our society’s inherently racist institutions. Maybe try to think about the reason behind a statistic before blindly coming to incorrect conclusions. Whites invented concentration camps and murder camps that killed millions. Whites reduced the native population of the Americas by 97,000,000 persons and never paid restitution. Yeah i want all of you to pay restitution to my people for stealing our land. So hand it over!! !